We have been using the Activator Method® for over 35 years. At first, my father was very skeptical, and set out to disprove this method. He proved himself wrong and went on to be one of the most prolific contributors and teachers for Activator Methods. I feel honored to carry on the tradition he created and was well respected for. I know what big shoes feel like and although my father passed away in 2008, I continually discover what a wonderful mentor he was for me. I'm happy to personally share my unique perspective of the value of the care we have offered for decades. 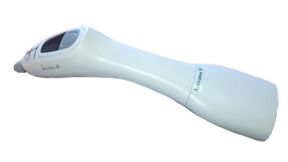 The Activator V is the first FDA registered and approved cordless chiropractic adjusting instrument. Instead of the “spring-loaded” mechanism in the previous instruments, the new Activator V uses a revolutionary electronic mechanism in order to produce the thrust. The force produced by the instrument has been specifically tuned to provide a deeper, more productive adjustment while still remaining very comfortable to the patient. It appears that we are the first office in our area to provide the newest version of the Activator instrument for our patients. We are excited about what this new technology is offering those who trust us for their Chiropractic care. Read the story of my aha moment relating to times our bodies send us false or confusing signals of what balance and center feels like. 86% of Americans aged 65 and over are suffering from 3 degenerative disease processes that could have been managed more effectively if they had done more preventive methods earlier. Read about a study done with football players about the amazing self-healing ability of the human body. ©Copyright 2012 Kinum Chiropractic, P.C. All Rights Reserved. Site Design by P&K Design · Powered by Scott Creative Services, Inc.